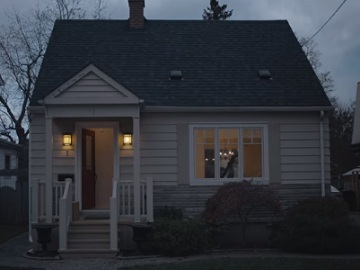 Air Canada has launched a new commercial, highlighting that home “is not just a place”, but “a feeling that lives in us”. Narrated by Ryan Reynolds, the 90-second spot, titled “Our Home” and part of the #FlyTheFlag holiday campaign, delivers a thought-provoking message from the Canadian airline, while featuring images of people returning home for Christmas, spending time with their family and friends, and feeling free to express who they are, with no mask. “Home. It isn’t just a place. It’s something more. It shapes us. Defines us. Sets us on a journey. Free to be ourselves. Free to find ourselves. And knowing our place, in the world. Home is where we leave. But immediately miss. Where we break down barriers. And we build some, too. That’s what makes this home special. It’s not where we are. It’s who we are. Because we don’t live at home. Home lives in us.” – Reynolds says, while on screen backpacks featuring Canada’s flag are seen, along with Air Canada aircrafts. A military sporting Canada’s flag is also seen talking to his little son through a video call on Christmas day, a man giving his seat in the bus to an immigrant woman (as a metaphor for breaking down cultural barriers), several men are seen building a wall out of sacks full of sand so that water could not flood a specific area, and finally a family is seen moving into a new house. The film, created by agency FCB – Toronto and directed by Kevin Foley, will be running on television, online and in theaters throughout the holiday season. According to the airline, the famous Canadian actor will continue to work with Air Canada in 2018 on new projects.